Shobhit Jayaswal at the campus of University of Perpetual Help. The University of Perpetual Help, MBBS in Philippines, is a Catholic-oriented, co-educational, private university, with campuses at Las Piñas, Manila. It was established on February 7, 1975. University of Perpetual Help System DALTA – Las Pinas is the campus where students from India get admission. The Las Piñas, Manila is the campus where medicine is taught. You can check the Fee Structure of the University of Perpetual Help. The University of Perpetual Help is a leading University in Manila – Capital of the Philippines. It offers a 6 years BA-MD degree which is equal to the MBBS Degree in India. Hostel and Indian food is available. MCI Screening Test Coaching is provided. The University of Perpetual Help System employs a total of 1,500 including non-teaching staffs and has a total of approximately 18,500 students in all of its campuses. The Las Piñas campus has a student population of around 12,000 students and employs about 1,500 teaching and non-teaching staff. The founded in 1975 by Dr. (Brigadier) Antonio Tamayo, Dr.Daisy Tamayo, and Ernesto Crisostomo as Perpetual Help College of Rizal (PHCR). It has nine campuses offering over 70 courses in 20 colleges. The University of Perpetual Help inculcates the Perpetualite values, teachings, and principles. A graduate of the University of Perpetual Help (UoPH) calls themselves Perpetualites with Alumni Chapters in Philippines and USA. The institute was given University Status in 1997 by CHED. The School of Medicine in University of Perpetual Help began in 1996, It Offers the Doctor of Medicine Degree or MD in the Philippines. The Degree is recognized by Medical Council of India as equal to the MBBS in India conducted by Medical Colleges in India. In University of Perpetual Help, MD – MBBS Degree entails full time Medical Education in the Philippines which is equal to MD in the USA and MBBS in the UK and MBBS in India, The Medical Degree and the University of Perpetual Help is listed and / or recognized by the following institutions in the World: Medical Council of India (MCI), CHED Philippines, WHO, Medical Board of California (USA), USMLE, FAIMER, General Medical Council – UK, etc. Offers the Doctor of Medicine Degree or MD / MBBS in Philippines. 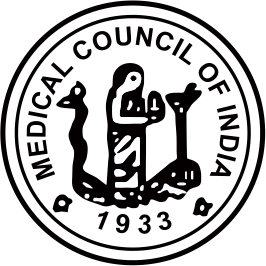 The Degree is recognized by Medical Council of India as equal to the MBBS in India conducted by Medical College in India. University of Perpetual Help MD – MBBS Degree entails full time Medical Education in the Philippines which is equal to MD in the USA and MBBS in the UK and MBBS in India. University of Perpetual Help (UoPH) is Registered with CHED Philippines for medical education. Commission for Higher Education (CHED) is the Government Body regulating Higher Education in the Philippines. It licenses Medical Universities in Philippines. University of Perpetual Help (UoPH) is listed in the WHO World Directory of Medical Schools now known as the AVICENNA Directory for Medicine. University of Perpetual Help (UoPH) is listed in California Board of Medicine. Graduates of UoPH eligible for licensing in several States in the USA after clearing the USMLE and other steps for working in the USA. Students enrolled in University of Perpetual Help (UoPH) – MD-MBBS in Philippines will file for & receive a Certificate of Eligibility from Medical Council of India. They can practice MBBS in India after complying with MCI Norms. MCI recognizes the University of Perpetual Help (UoPH)’s degree as equal to MBBS in India issued by Medical Colleges in India. United States Medical Licensing Examination for working as a medical doctor in the USA. Recent graduates of University of Perpetual Help (UoPH) have been scoring a 100% success rate in USMLE. Many graduates of University of Perpetual Help (UoPH) are registered and are practicing in the USA. ECFMG recognizes the Degree for working in the USA. University of Perpetual Help (UoPH) is listed in the International Medical Education Directory IMED maintained by FAIMER or Foundation for Advancement of International Medical Education and Research – needed for certification for licensing in the USA. Medical Students graduating from University of Perpetual Help (UoPH) are eligible to register with the General Medical Council of the UK for licensing and practice after following the due process. The Degree is treated as equal to MBBS Degree in the UK. International Recognition of MD / MBBS Degree: The MD / MBBS in Philippines is recognized as equal to MBBS in India, MD in USA, MBBS in UK, MD in Canada, MBBS in Australia, MBBS in New Zealand, MBBS in Singapore, MBBS in Gulf countries, MBBS in Germany, MBBS in China and as primary medical education in 180 countries. University of Perpetual Help (UoPH) is a Top Medical College with competitive Medical Entrance. Each country has licensing requirements for Doctors. Medical Graduates need to comply with this, to get a valid license to practice in the country of their choice. University of Perpetual Help (UoPH) provides Quality Medical Education. The Medical College has a stellar record in the licensing examination. In the 5 year from January 2008 to December 2012 graduates of University of Perpetual Help (UoPH) have a 100% pass rate in USMLE – needed for Medical Entrance to US Jobs. Due to this success record – it is a Highly Ranked Medical University Internationally for Medical Entrance and Education. The University of Perpetual Help School of Medicine posted a 100% institutional passing rate from January 1, 2008 to December 31, 2012 in the Aggregate Performance of Examinees Taking the United States Medical Licensing Examination (USMLE) as announced by the Educational Commission for Foreign Medical Graduates (ECFMG) based in Philadelphia, Pennsylvania, USA. Perpetualite Medicine graduates who took the USMLE passed Step 2 Clinical Skills (CS) stage of the test. In order to pass Step 2 Clinical Skills, the test takers should have passed all three subcomponents which are Integrated Clinical Encounter, Communication and Interpersonal Skills, and Spoken English Proficiency. The USMLE is a three-step examination for medical licensure in the United States and is sponsored by the Federation of State Medical Boards (FSMB) and the National Board of Medical Examiners (NBME). Step 1 of the USMLE assesses whether the examinee understands and can apply important concepts of the sciences basic to the practice of medicine. Step 2 assesses the ability of examinees to apply medical knowledge, skills, and understanding of clinical science essential for the provision of patient care under supervision, and includes emphasis on health promotion and disease prevention. Step 3 is the final examination in the USMLE sequence leading to a license to practice medicine without supervision in the USA. The USMLE assesses a physician’s ability to apply knowledge, concepts, and principles, and to demonstrate fundamental patient-centered skills, that are important in health and disease and that constitute the basis of safe and effective patient care. Each of the 3 steps of the USMLE complements the others; no step can stand alone in the assessment of readiness for medical licensure. There is a large modern auditorium for professional and entertainment activities for use of students. There is a large well stocked library with medical books and journals. There are plenty of off campus housing options available within two kms of the University. Students can also get low cost flats where the rentals are as low as $ 50 a month on sharing basis. There are many canteens and eateries in and around the University of Perpetual Help (UoPH), Las Pinas Campus. This includes three canteens offering Indian food both north Indian and South Indian food is on offer. Visit of the Ambassador of INDIA to University of Perpetual Help (UoPH), Manila Campus. The Ambassador of India to the Philippines, His Excellency Amit Dasgupta, visited the University of Perpetual Help System DALTA Las Pinas campus on May 7, 2013. He was given a tour of the campus, facilities and met students from India enrolled in various courses of University of Perpetual Help (UoPH). Signing of the MOA of Global Medical Foundation with UoPH 2014. Want Admission in the University of Perpetual Help? Fill up the form and we will contact you!